If you are planning a fifteenth birthday party and want to make it spectacular with creativity and fun for all, then these party ideas will be just for you. It doesn’t matter if you’re planning the world’s largest Quinceanera or a casual friendly gathering, the following 15th birthday ideas can make any birthday unforgettable, especially the landmark fifteenth birthday. A fun sleepover is one of the most perfect 15th birthday party ideas for girls and boys. Girls may enjoy a night of chick-flicks complete with manicures, pedicures and facials while boys may enjoy a marathon of video games. Either boys or girls should enjoy a mock-up of their favorite TV show, or creating T-Shirts to mark the special occasion. Other 15th birthday ideas can include plan a whole weekend of fun activities that may include hiking, rock climbing, snowboarding skiing, white water rafting, or even just an intense camping trip with his or her closest friends. Be sure to have a professional instructor on hand for some of the more dangerous options, or consider something a little less dangerous but still unique like a murder-mystery dinner, paintball, or even laser tag. This is the perfect and most affordable way to celebrate a 15th birthday, especially during the early fall or late spring months when the weather is perfect for a sunset bonfire. You can either have a bonfire in your own backyard, or reserve a campsite, and create a menu with all of the bonfire classics: s’mores, hot dogs, etc. If you like chocolate, as most people do, then touring a chocolate factory may be the perfect way to show the world you are now fifteen! Depending on where you live, you may be able to visit some relatively old chocolate factories and be able to have a glimpse of the past as well considering some chocolate factories date back to the early 1800s. For years now, people everywhere have enjoyed heading to a Renaissance Fair and viewing the world from the perspective of the Medieval Times. If you enjoy festival food, theatre, and jousting, then head to the renaissance fair for a fun and unforgettable fifteenth birthday party. Remember to ask your guests to dress in medieval clothing to make the adventure feel even more real. Visiting animals may not be related with fifteen-year-old, but for some it just might be the best birthday party they could ask for. Depending on location, you may be able to participate in various events such as petting zoos, horseback riding, picking crops, carriage rides, or even hay rides. Celebrating at sea will mean different things to different people. Some may see this as an opportunity to rent a yacht, while others may wish to head to the lakes with canoes or kayaks and enjoy a day of fishing and fun. Either way, plan a weekend to a nearby lake and choose your vessel accordingly and enjoy the time together. Your 15th birthday is the perfect time to start you and your friends on a new class, be it a regular dance class where you practice a routine to perform, or a hula hoop class where you learn to finally use the hula hoops successfully. Simply search online to see what classes are available near you! If you want to have a karaoke party, you’ll need to first start with finding the right equipment – microphones, karaoke tracks, or a local restaurant willing to be rented out for a teenager’s karaoke party. Of course, you don’t have to use microphones, and you can easily create a YouTube playlist of karaoke tracks. Throughout the night, take turns singing and let others vote on who did the best and give out awards at the end of the night. To pull off the perfect movie night party, you will want to create your own theatre like space by using a large white sheet and a projector. Be sure to have plenty of popcorn and snacks along with plenty of comfortable sitting for all invited. Choose your movies wisely for those who are coming, or simply use all of the birthday girl/boy’s favorites for them to enjoy. 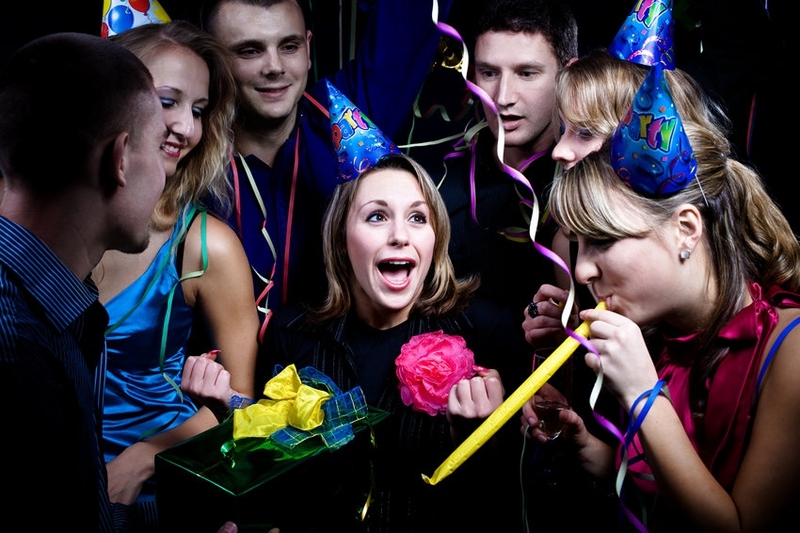 To avoid the mess of a party at home, consider having a hotel party at a local hotel with a pool. Be sure to get a large enough room to accommodate all of the guests, with a second room nearby for the chaperones. Don’t forget to use the pool and other hotel amenities to your advantage for a night/weekend full of fun! A video game party may simply mean that the birthday cakes for 15 a yr. old girl all have a common video game theme, or it may mean that the night is full of playing the birthday boy or girl’s favorite video game for hours on end. To make things even more eventful, consider a live action role-play of the birthday girl or boys favorite game for never-ending fun. A Paris themed party is just what it sounds like – gather all of the French décor with the Eiffel tower, put on a Paris-worthy fashion show, serve French food, and offer French-themed prizes. Most importantly, make sure the Paris theme is present in your decorating for the party, especially in regards to the food and cake. A Paris theme is one of the best birthday cakes for 15 yr. old girl. A Spa Themed Party is perfect for young girls as it will give them time to learn how to do manicures, pedicures, facials and other relaxing yet fun tasks. These tasks can also be time-consuming and will keep the girls busy if they are doing them for each other, or you can take the more professional route and take the girl and all of her friends to a professional spa. If you prefer to lay low, even during a landmark birthday like your fifteenth, then a slumber party may be perfect. This will allow you to stay at home with your closest friends, build blanket forts, enjoy cake and snacks, all while staying in the comfort of your own home. Server responsed at: 04/19/2019 4:23 a.m.